– about 230 km from Kruszwica. Transport from all airports is provided by the organizer. route 15 and from Wroclaw you have to take route 25. All participants of the European Rowing Under 23 Championships 2017 will be accommodated in two sanatorium hotels. Breakfasts and dinners will be served at the hotels, while lunches will be provided on the regatta course. Transport from the hotels to Kruszwica will be provided as well. The hotels are located 17 km away from the destination. 3 person room 65 Euro. 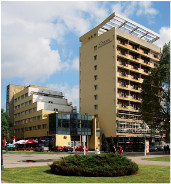 ENERGETYK Hotel - can accommodate 400 peoples. 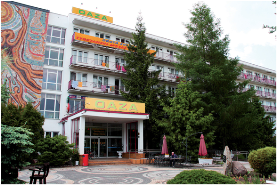 OAZA Hotel - can accommodate 200 peoples.